The University Mace is a symbol of the authority of the UBC Chancellor. It is displayed on ceremonial occasions, most notably during the Convocation ceremonies but also during the Installation of a President or Chancellor. The Mace is carried by the ‘Mace Bearer’ who leads the Platform Party, which includes the Chancellor, the President, and other dignitaries, onto the stage for the Convocation ceremonies. 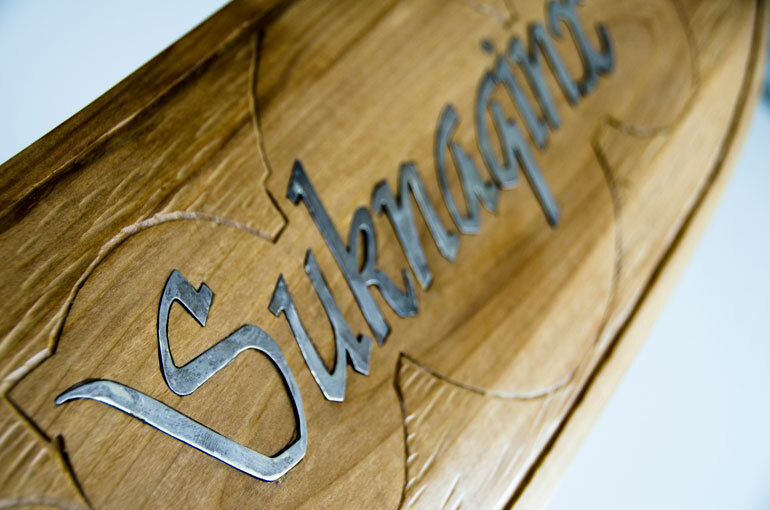 Created by First Nations artist Sheldon Louis of the Okanagan Indian Band, the University Mace is carved from a single piece of alder wood, and combines Okanagan Nation traditions with university customs. The main art work on the Mace features three symbolic spirit icons – a mother bear with her two cubs, the image of the mountains, and water – given to UBC’s Okanagan campus in 2005 by the Okanagan Nation elders. The spirit icon gifts were selected by a group of First Nation elders, led by Andrew McGinnis, an Okanagan Traditional Medicine Keeper from the Penticton Indian Band, and Victor Antoine, an elder of the Okanagan Indian Band. Each spirit icon was chosen carefully for its special significance to the region, reflecting local Okanagan Nation tradition, culture and knowledge. The University Mace, which was carved in the shape of a paddle, representing the importance of Okanagan Lake to the region’s people, is also inlayed with silver, applied by First Nations silversmith artist Justin Terbasket of the Lower Similkameen Indian Band. The Mace was used for the first time at the 2009 Convocation Ceremonies at UBC’s Okanagan campus.